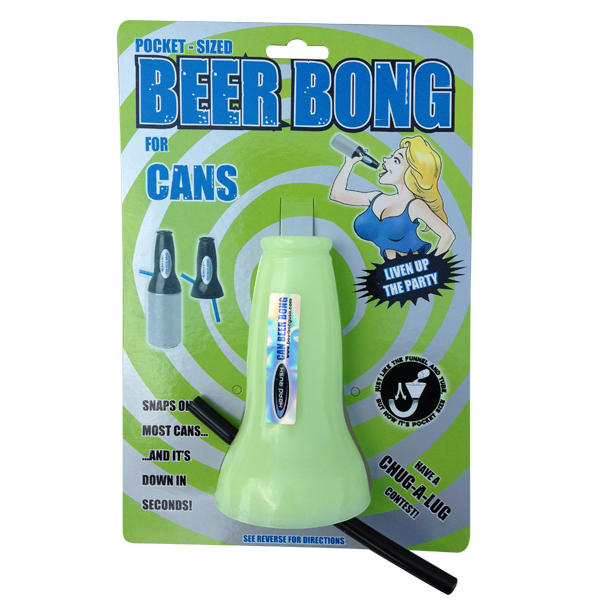 By combining not only one but two fantastic inventions, with this Glow In The Dark Can Bong you can now chug back your can of beer in seconds while also being able to see it in the dark. Genius! 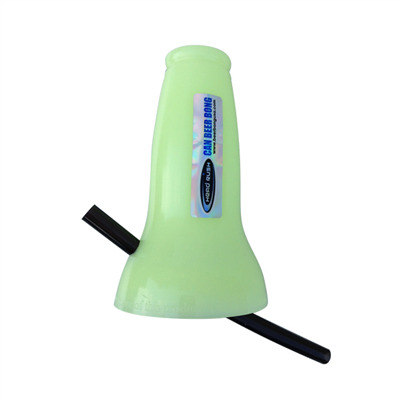 Beer bongs are a great addition to any party and this Glow In the Dark Can Bong has just made it even easier for you to down a can of beer in just seconds. Can bongs are simple and easy to use, all you need to do is attach it to the top of your can and ta-dah, you can drink your beer as fast as you like. This glow in the dark can bong even comes with a handy little straw, so you can sip your beer delicately if that's what you'd prefer. It goes without saying that clubs can be rather dark, so a glow in the dark can bong is precisely what you need in that environment. You no longer have to spend ages struggling to attach your can bong to your beer; you can now do it in seconds now with the guidance of this glow in the dark can bong.